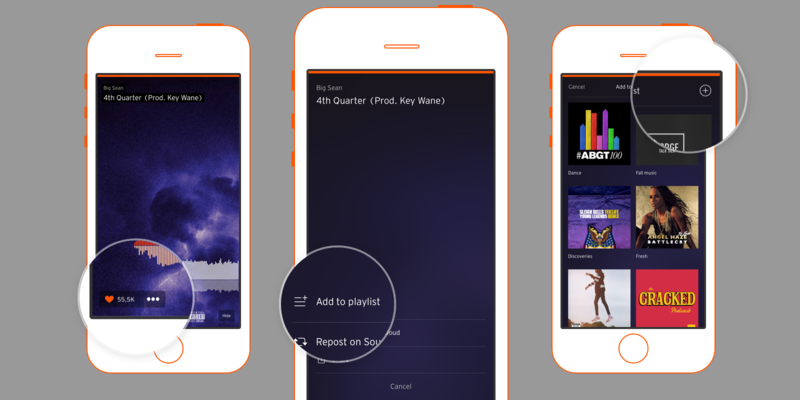 SoundCloud’s online streaming platform has been accessible from iOS devices for some time now, and earlier this year it got an update designed to get users to listen to more music. Today, it’s getting another update with the same goal in mind: playlist creation on iPhone, with the feature to follow on iPad next year. Just like on desktop, adding a song to a new or existing playlist is simple – just tap the + button and select which playlist in your Collection you want to use. By default, created playlists are marked as private, but if you want them to be visible to friends, you can set them to public. It’s not going to change the world, but it is likely to encourage more repeat listening on SoundCloud.